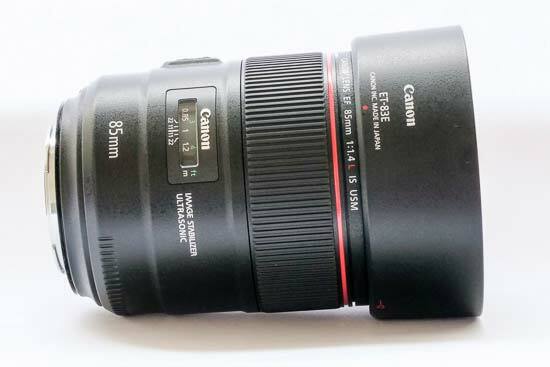 The Canon EF 85mm f/1.4 L IS USM is a new professional “L series” lens from Canon. 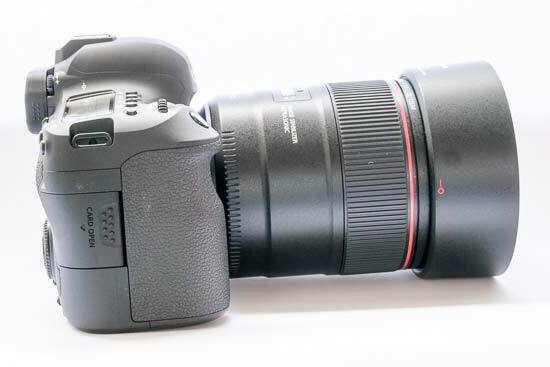 It is primarily designed for use on full-frame models like the Canon EOS 5D Mark IV or the Canon EOS 6D Mark II, but it can also be used on APS-C cameras, too. 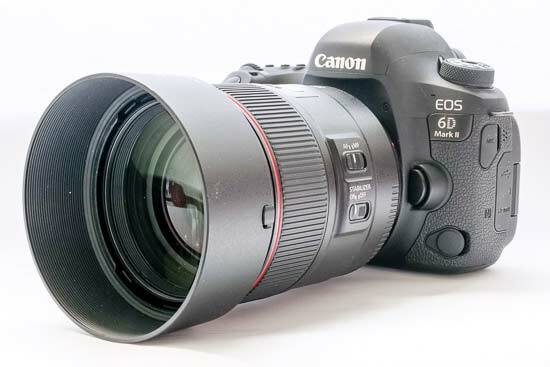 The majority of the shots in this review were shot with a 6D Mark II, which was supplied with the lens for the review. 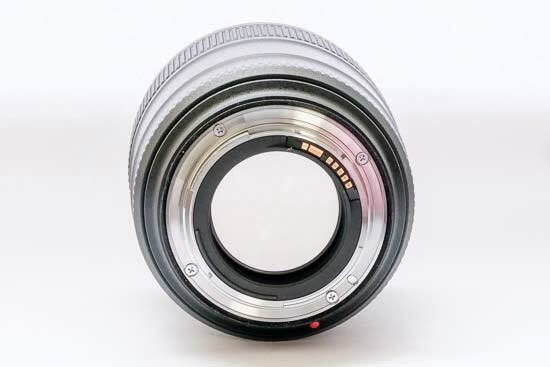 Constructed from 14 elements in 10 groups, the Canon EF 85mm f/1.4 L IS USM has 8 diaphragm blades. 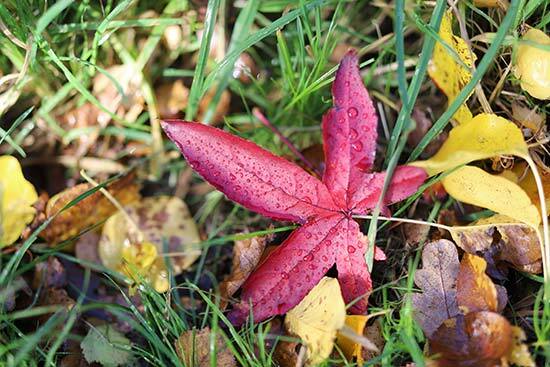 It offers an aperture starting at f/1.4 and ending at f/22. 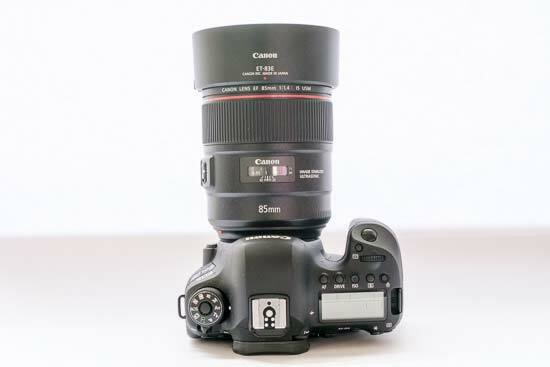 This lens features image stabilisation which offers 4-stops of compensation. It uses Ring USM autofocusing. USM stands for ultra sonic motor and generally denotes that a lens will be fast and quiet when it comes to focusing. In the box there’s a supplied lens hood, ET-83E, as well as a lens case, lens cap and rear cap. 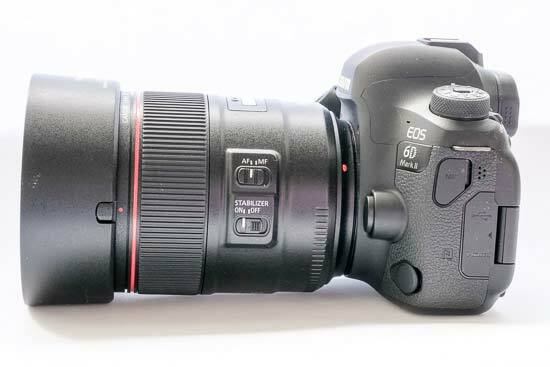 Canon now has three 85mm lenses in its line up, including the Canon EF 85mm f/1.2L II USM, which is more expensive and doesn’t feature inbuilt image stabilisation. 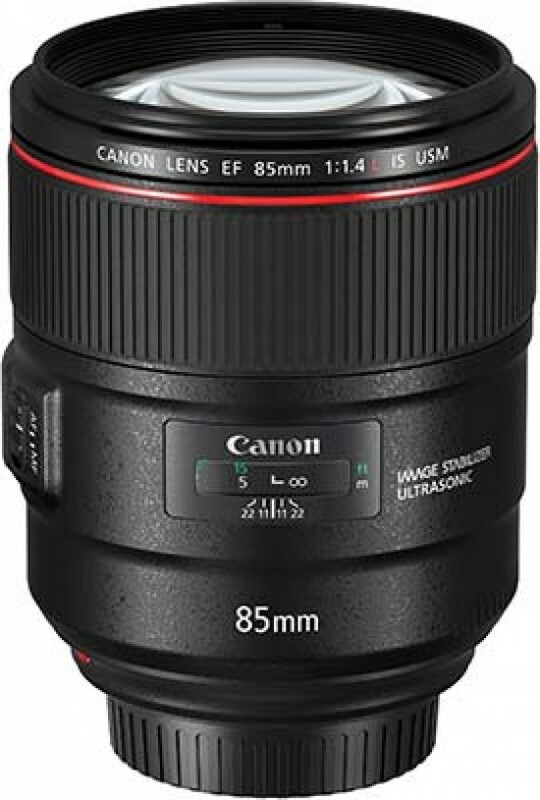 Currently the Canon EF 85mm f/1.4L IS USM retails for around £1569 / $1599. At the time of writing, it is still showing as available for “pre-order” on most websites. 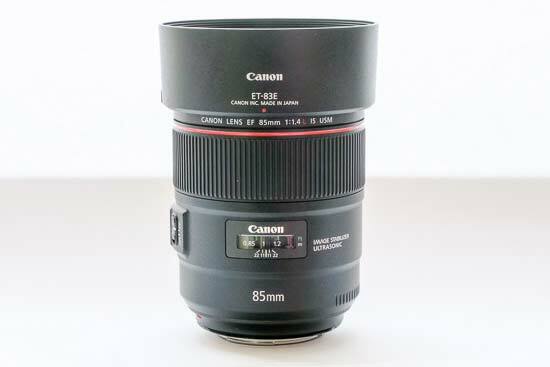 The Canon EF 85mm f/1.4L IS USM is longer and thinner than the 85mm f/1.2L Lens - which is not altogether surprising, considering the slightly narrower aperture available here. It is also a little lighter too, and features a 77mm filter size. 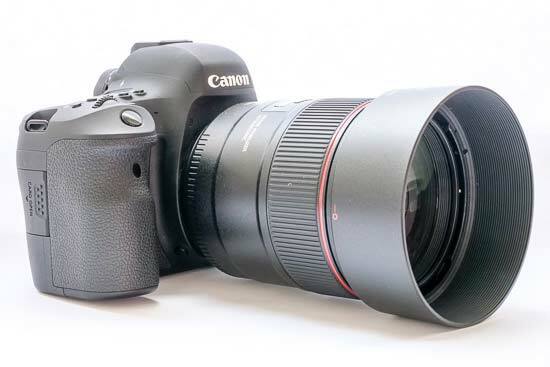 On the flip side, it is much heavier and bigger than the cheaper 85mm f/1.8 lens, but with the advanced specifications inside the f/1.4, it’s to be expected - if you intend to use the 85mm f/1.4 with one of Canon’s lighter or smaller models, particularly those with an APS-C sized sensor, then you may find it a little unbalanced in use. With the 6D Mark II, it’s just about acceptable in use, but using it with a 5D Mark IV and additional battery grip feels a little more comfortable. It is weather resistant, while there is a fluorine coating on the front of the back of the lens which helps any dust or moisture to fall off with ease. The lens feels very well made, and certainly able to withstand the odd knock or scrape. 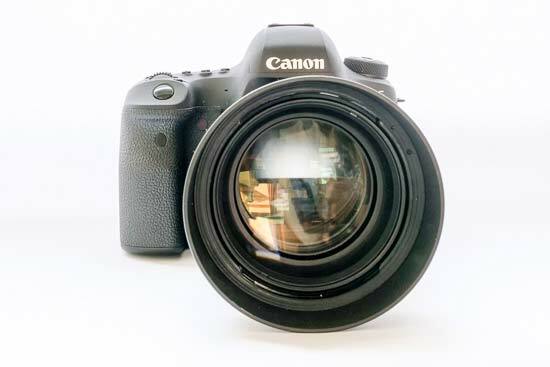 The exterior design of the lens is relatively simple. 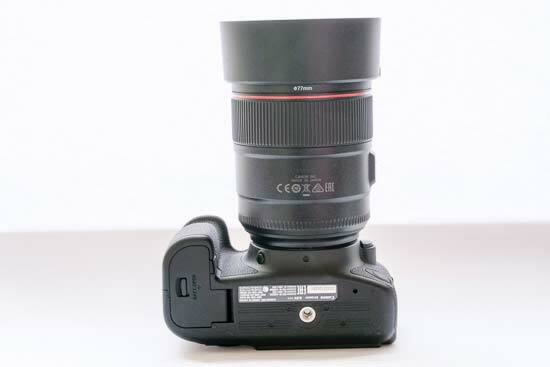 There is an AF/MF switch, which you can use to move between autofocus and manual focus, as well as a switch for activating the Optical Image Stabilizer.  You may wish to switch off OIS when shooting on a tripod, as it can actually introduce blur on some occasions.  Autofocusing is quick and quiet, and in the majority of instances extremely accurate. 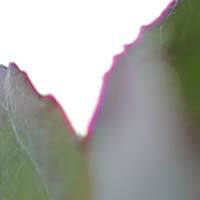 As the light drops, focusing is a little slower, but it’s very rare for a false confirmation of focus to be displayed. 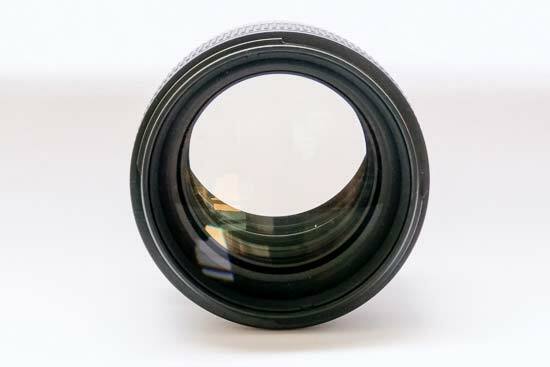 A focus indicator window can be found on the barrel of the lens, which can be useful for helping to quickly set a focusing distance without looking through the viewfinder, or using the camera in Live View. 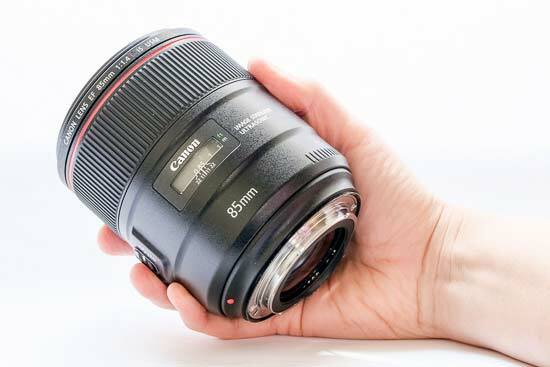 The focusing ring is thick, and is ridged to help you get a comfortable grip on it. It has a smooth and fluid motion, being neither too loose nor too stiff. There are hard stops at either end of the focusing ring which helps you to know without having to take the camera away from your eye. The lens narrows a little at the rear, where the mount is. A red dot can be used to line up the lens with the camera’s lens mount. The lens hood supplied in the box can be removed and reversed to save space when transporting the lens in a bag or similar. 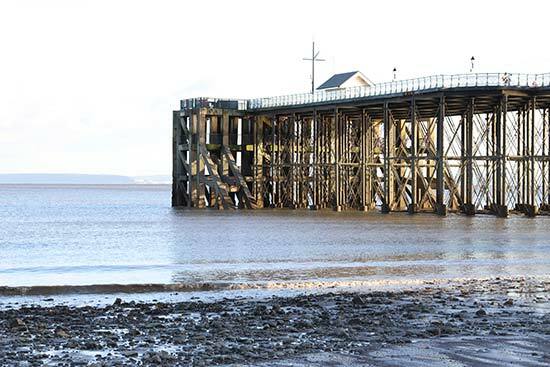 The 85mm focal length gives an angle of view of 28 degrees on a full-frame sensor. 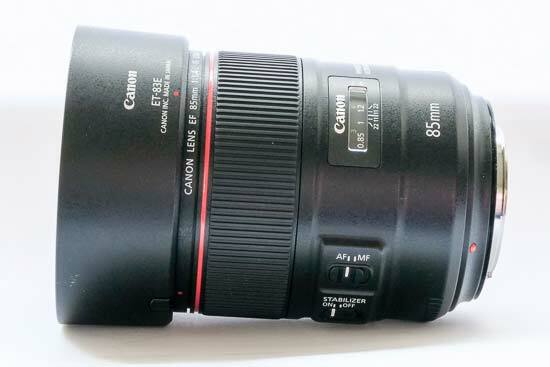 If using the Canon EF 85mm f/1.4L IS USM on an APS-C camera, the equivalent focal length is 136mm. 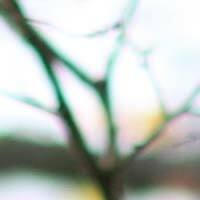 Generally characterised by purple or blue fringing along high contrast edges in an image, chromatic aberration is something that can mar some lenses - particularly cheap ones. On the whole, the Canon EF 85mm f/1.4L IS USM Lens doesn’t suffer from particularly bad chromatic aberration, but it’s still possible to find it in some places when examining at 100%. It’s unlikely to be overly noticeable when viewing at normal print or web sizes, and it’s relatively easy to remove in programs such as Photoshop. 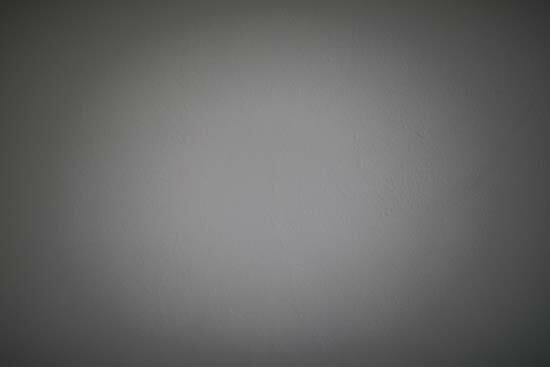 There is noticeable light fall off when you shoot wide open at f/1.4, particularly of course if you happen to be photographing a white wall. 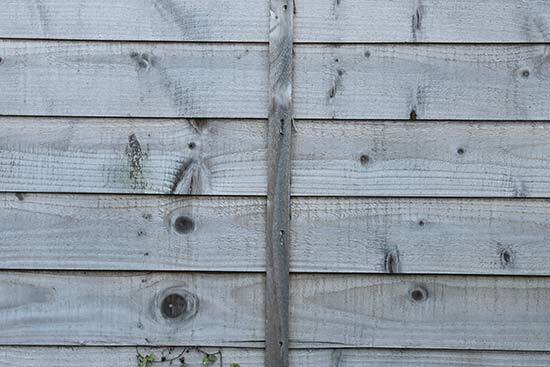 This is not uncommon for lenses of this type, and can be quite attractive in some situations - it won’t be quite as obvious in normal scenes as it is with a white wall like this. The effect is lessened each time you step down, being less noticeable at f/1.8 and f/2.0, and almost completely gone by f/2.8. As we’d expect from a lens of this type, distortion is barely evident at all. 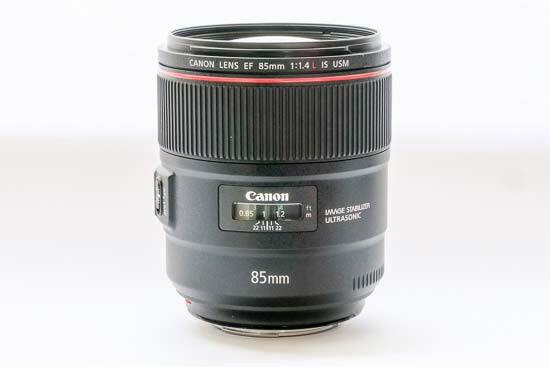 The Canon EF 85mm f/1.4L IS USM is not a dedicated macro lens, but due to its telephoto lens, it’s something you might want to use for typical macro-type subjects, such as flowers and so on. It has a closest focusing distance of 0.85m, and a maximum magnification of 0.12x. 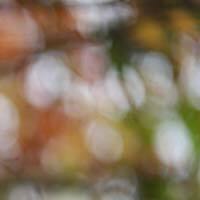 With a maximum aperture of f/1.4, you'd expect to see some extreme bokeh with a lens like this. Happily the Canon EF 85mm f/1.4L IS USM Lens doesn’t disappoint. 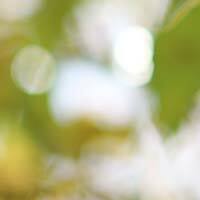 Generally speaking, bokeh is described in subject terms, such as creamy, smooth and so on. With the Canon EF 85mm f/1.4L IS USM Lens, the bokeh is extremely smooth, producing a very pleasing shallow depth of field effects. Check out these 100% crops to judge for yourself.